Since the dawn of the eighties, video game music has been a ubiquitous staple of living rooms and arcades around the world. In fact, it might have been the music you heard most as a child; for some it was the soundtrack to growing up. The 8-bit, 16-bit and FM sounds heard in classics such as Street Fighter and Sonic The Hedgehog have played a big part in shaping modern music, an influence especially evident in the work of artists like Flying Lotus and Kode 9. But what about the composers behind this much-loved music? For Diggin’ In The Carts, Red Bull Music Academy has travelled to Japan to unearth the men and women behind these timeless tunes. The six part video series charts the evolution of the music and provides first-hand stories of how it was done. There’s a lot to learn from previously unknown geniuses such as Yoko Shimomura and Hirokazu Tanaka; building whole worlds with primitive technology requires a leap in the imagination that’s vital to making any sort of music. It’s a perfect illustration of how working with limitations can lead to enduring sounds and how inspiration can come from the most unlikely sources. These composers show how mood and emotion can be conveyed with the simplest of tools. 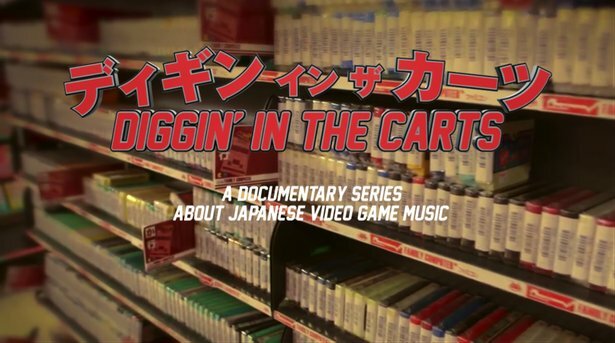 Head over to the Diggin’ In The Carts site to watch the episodes.